The North Oconee River Project is a community-wide call for submissions of original projects that share knowledge, appreciation, experience, or attitudes towards the North Oconee River. 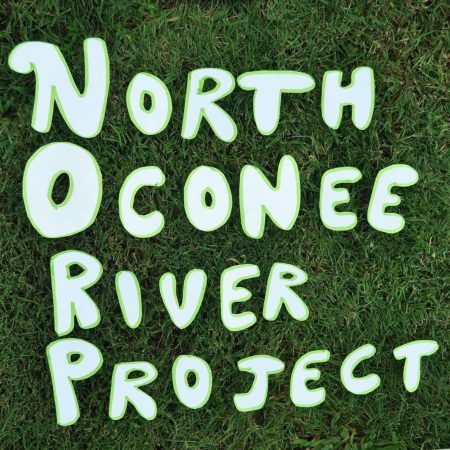 The North Oconee River Project invites the Athens community to submit proposals of artworks that celebrate the inherent rights of nature for inclusion in a site-specific event along the river and associated publication. Artworks should be inspired by nature and humanity’s role within it, with special consideration given to works that demonstrate a knowledge, appreciation, experience, or attitude toward the North Oconee River. We invite submissions from any medium and practice inclusive of music, performance, poetry, visual art, prose and others. Entries can fall under any discipline, can be presented in any format, and can use any medium. This includes but is not limited to all forms of material and digital art, performances of any kind, musical compositions, dance choreography, theatrical scripts, and fiction or non-fiction literature or films. In addition, entries may be interdisciplinary in nature and may include information or materials from multiple disciplines and mediums. Entries both from individuals and collaborative teams of two or more people are welcome. This event will take place along the North Oconee River, from Dudley Park to North Avenue at the North Oconee River Park. Performances will take place along the riverbed, and more stationary artworks will be exhibited in the park. All proposals must be submitted online by March 31. There is no fee for submission. Proposals for funding will be considered on a rolling basis, so the earlier the submission the better. This project is made possible by the support of the Alliance for the Arts in Research Universities (a2ru), Ideas for Creative Exploration (ICE), Watershed UGA, and Willson Center for Humanities and Arts at the University of Georgia.